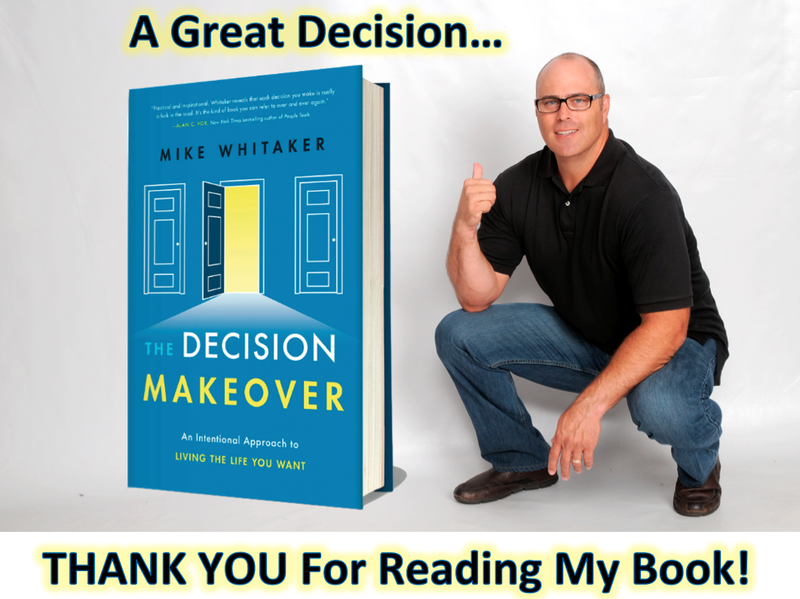 It has been a great launch week for my book, The Decision Makeover. Thank you for supporting my writing. If you have purchased the book via Amazon or Barnes & Noble, please leave a verified review on their site on my book page. That is so important for others. I am very happy to cross this milestone in my author journey. We have a finished product that people can read for enjoyment and personal power. That feels really good. The professional book reviews are very positive, too. It’s a competitive field. There are at least 10,000 books published in the U.S. every week! To rise above, an author must bring the value to his readers. I really believe we have done that. I created The Decision Makeover Podcast to enhance the book’s topics in short 5 minute episodes. I hope you will check it out.